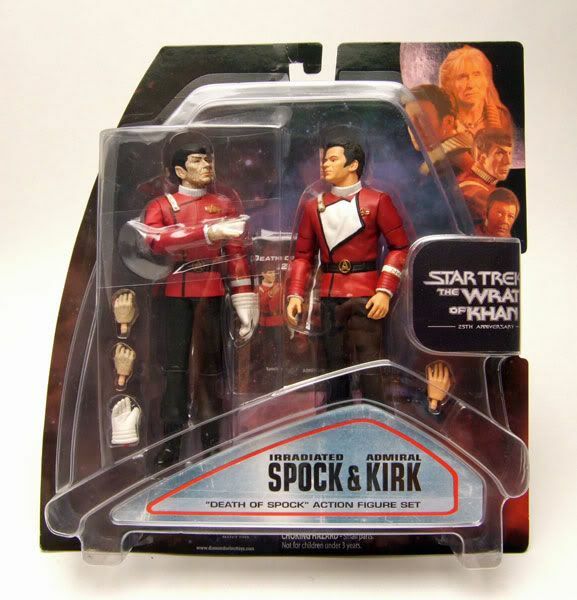 Diamond Select released the awesome Irradiated Spock as part of a special carded "Death Of Spock" Gift Set in their Star Trek II The Wrath Of Khan line. 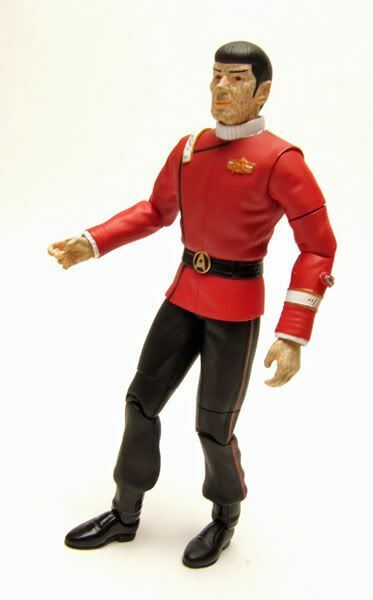 The Rundown: And here's the better half of the 2 pack- Irradiated Spock! Let's be honest...this is the bread and butter of the pack! Oh, and I forgot to mention in Kirk's review that I really love the packaging on this set. It does a pretty decent job of mimicing the 'Spock stuck behind a barrier' look. Poor Spock...he's all speckled with death. 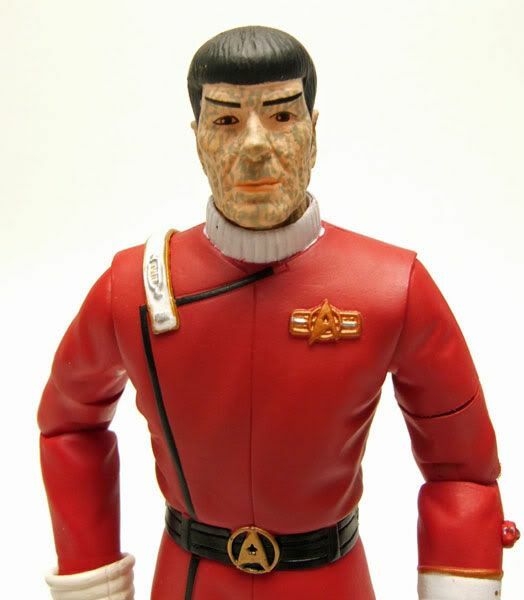 DST did a pretty excellent job on capturing the look of irradiated Spock here. The paintjob is really sharp! 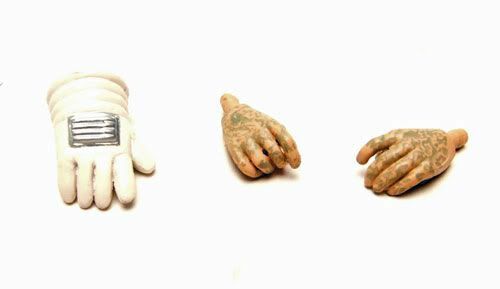 The body is the same as the standard TWOK Spock...but now he's got some excellent enineering gloved hands to switch out with! DST could have cheaped out and skipped the gloves...but they didn't and it adds so much to the figure. You can switch the gloved hands out for the irradited hands really easily and the sculpt on the gloves is excellent. Accessories: Spock only comes with extra hands...but that's just fine since he includes the excellent engineering gloved hands. 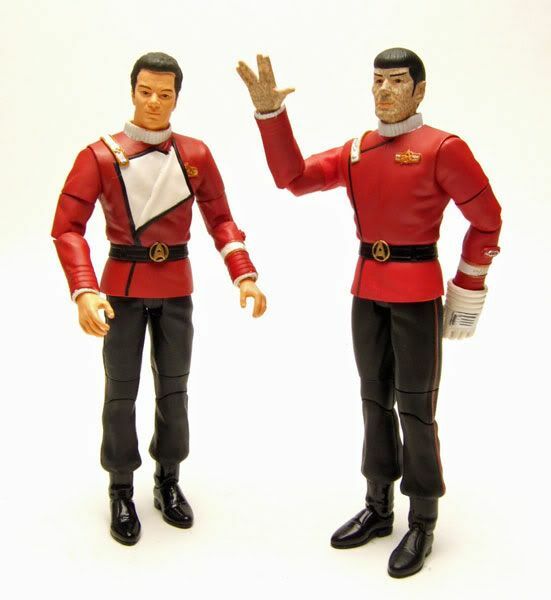 The figure comes with one gloved hand and one Vulcan salute hand attached, and 2 extra irradiated hands and the other gloved hand seperate. So there they are... Kirk is just kinda okay and nothing really all that new....but Spock is excellent and well worth the price of the pack! 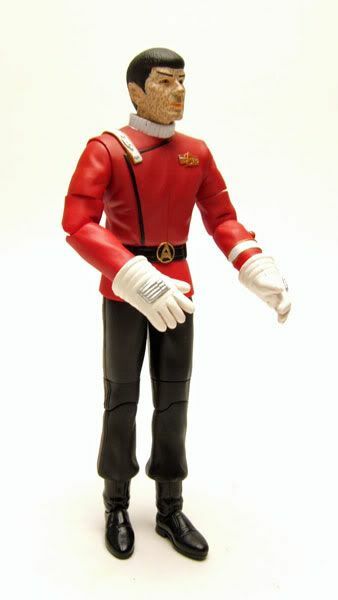 I always wished somebody - Playmates, AA, DST - had made a figure of Scotty in that TMP-era engineering suit which go along with Spock's gloves up there. The white ones with the black collars and the helmets. I always thought they were the neatest and most believably functional looking things. 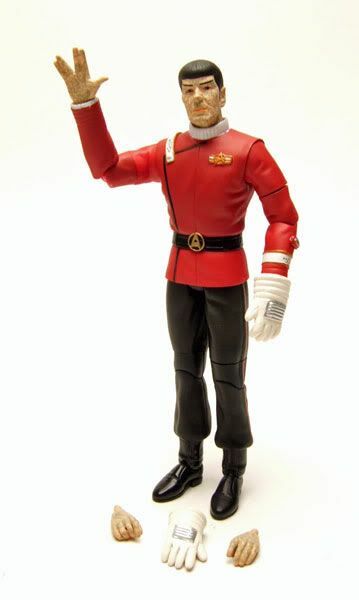 finally swap the hands out for the engineering gloves, and VOILA you have a AA/DST Engineering Bay Montgomery Scott figure!